Collateral charge mortgages got more bad press on Friday after CBC’s Marketplace ran this report. The gist of it is that collateral mortgages “effectively trap you at the bank,” says the CBC (which is not entirely true…more on that below). TD Canada Trust, which sells only collateral charge mortgages, was caught in CBC’s crosshairs. An undercover reporter went into a TD branch with a hidden camera, asking the mortgage rep what made TD mortgages different than those at other banks. CBC approached TD corporate for comment, but TD apparently wouldn’t respond about its collateral mortgages on camera. Collateral charges are designed so that you don’t need to pay refinance fees if you add more money to your mortgage. But they’re also criticized because, in most cases, they force you to pay legal/registration fees to switch to another lender (due to the way they’re registered). In turn, that roadblock helps the lender retain more customers. It should be noted, however, that a handful of lenders currently pay legal fees to attract business from people with collateral mortgages. ICICI Bank (for status brokers) and Royal Bank (according to a rep we spoke with) are two such lenders. b) the lender approves you for those additional funds (a big caveat). Since they’re often registered for more than the mortgage amount, collateral charges can sometimes prevent you from obtaining a second mortgage or a secured line of credit elsewhere (unless you pay any penalties and fees required to leave the collateral mortgage lender, or unless that first lender reduces the mortgage amount it has registered and permits secondary financing). Title insurance premiums can sometimes be higher for a collateral mortgage than for a regular mortgage. A number of other lenders sell collateral charge mortgages besides TD. They do so even if the borrower wants just a regular mortgage with no line of credit. Such lenders include ING Direct, National Bank and various credit unions, for example. And most of these lenders don’t give you an option to refuse this type of registration. All in all, collateral mortgages are right for some but clearly unsuitable for many. A few years ago, TD said that “20 times” as many customers refinanced with them versus leaving for another lender. But that figure has to be less now, given that government rules prohibit refinances above 80% loan-to-value, and given that home price appreciation isn’t what it used to be. To that extent, the net benefit of collateral mortgages is questionable for most of today’s borrowers. Rob, I believe National Bank has an option for a collateral mortgage on its commitment. If the borrower doesn’t initial the section it won’t be regustered as a collateral charge. Great article. I’m glad someone is keeping an eye on the banks. They are completely out of control. Often they force you to go though the whole approval process without seeing the final documents until closing. As you mention, at that point you no other option that to sign. Another great article would be a critical examination of the new mandatory Alberta New Home Warranty program. The Alberta government is selling this as a positive, but as far as I can see it is nothing but a money grab by the insurance companies and a way for the big builders to limit competition. The program is structured so that the big builders have a huge advantage over the small builders. It is casing small builders to go out of business, and allowing big builders to jack up rates. In addition, as far as we can tell, the program doesn’t actually do anything other than generate lawsuits. I have yet to find one positive consumer experience that has come out of this program, that was a result of the program. If the consumer experience is positive, it is because the builder looked after the problem, not because ANHW had anything to do with it. Between the actual cost of the warranties, and the increase in costs due to increased risk and reduced competition, it is costing the public in Alberta hundreds of millions of dollars every year. Many small contractors are either just going out of business or increasing their bids by 15 to 20% as a result of the program. It is forcing many small contractors to sub to the big builders, and the big builders just pass the risks onto the small guys contractually. The big builder usually carry lawyers on staff or on retainer just to force their will on the little guys. 2. MANDATORY. The government has taken the choice away from the consumer. If you had a choice of paying 15% less on a $500k house, and looking after warranty issues yourself, or paying effectively $30k extra (because of reduced competition in the market) for a warranty that is, in most cases worthless, what would you choose? I know I would choose the self warranty program. I bet there are insurance companies out there that would be willing to provide a policy with the premium based on the risk of you home. In fact, there are companies that do this. This approach penalizes the people that want to live and/or build on unstable ground, and rewards those that are responsible. BUT it should NOT be MANDATORY. This is just a tax on the average person for the benefit of the wealthy, the big builders, and the banks. The government SHOULD make it mandatory to disclose clearly whether a home is covered and what the coverage is. Then it is up to the consumer to decide what value they put on the coverage. Banks might not lend without coverage, but that is what the market place is for. The market and a thorough inspection should establish the cost of the coverage for a specific situation. This would actually protect the consumer from purchasing a dog in the first place. The best way to ensure that you don’t have problems with a new house is to make sure that every aspect of the build is inspected by an independent party with the experience to know what to watch out for. If a house is built to code, the foundation is properly engineered, and it is built on stable ground, you will very rarely have problems. Problems are MUCH easier to address in the build than after they have exhibited themselves years later. If the warranty money was going into more thorough inspections rather than the pockets of the banks, consumers would be better off. The ANHW program covers appliances, etc. for 1 year, things like plumbing for 2 years, building envelope for 5 years, and structural issues for 10 years. To get any help from the ANHW program, you first have to prove that a problem is covered by the program. Just proving up your claim can cost you a lot, and you have to prove that the builder is unable or unwilling to fix it. Expect to spend money on lawyers and expert reports to get your case accepted, and ANHW will likely just sue everyone involved (e.g., the builder, the municipal or county authority that did the inspections, etc.) trying to lay the cost off on another party. You will be caught up in this mudslinging contest, and you still may end up paying for the repairs yourself. Most appliances etc., come with at least a 1 year warranty, and most allow you to purchase up-to a 5 year warranty from the vendor at a small additional cost. One Year Appliance Warranty = worthless. If plumbing, heaters, etc. don’t fail in the first 6 months, then they are statistically unlikely to fail in the first two years. Also, heaters etc. are usually covered by manufacturers warranty for at least 2 years. Two Year Plumbing and Mechanical Warranty = worthless. If a building is built to code, it is very unlikely to have building envelope issues in within five years. If you notice building envelope issues (e.g., leaky windows etc) you better just get them fixed immediately, because they are usually relatively easy to fix if they are fixed right away. If you wait for ANHW to get them fixed, you will quite likely spend more time and money fighting with ANHW, than it would cost you to just fix it, and if you don’t fix it until you are finished fighting with them, it will probably have blossomed into a MUCH bigger problem (e.g., black mold) that will be a lot more costly and intrusive to fix. Five Year Building Envelope Warranty = basically worthless. Again, if the foundation and walls are built to code or to a qualified engineer’s spec, then the probability of structural problems is low. There are cases where buildings are built in areas that have questionable soils etc. In these areas, the Engineer should be very conservative on the design and the customer should be advised to carry their own insurance against structural failure. The general public should not be saddled with subsidizing warranties on million dollar homes built into unstable hillsides, on riverbank, or by a lake just because the guy with the money wants a view or lake access, or because a developer wants to build houses in a swamp because the land is cheap. If you did a statistical analysis of foundation failures, I bet these two factors would account for the vast majority of the costly problems……and again, to get covered, you will have to spend money to “prove” that it is covered. Who has the money to spend on the lawyers…..the wealthy guy and the big builder. The wealthy guy, the big builder, and the AHWW program will just gain up on the sub-trades and the small sub-contractors, and force them to pay the bill. Ten Year Structural Warranty = worthless unless you have a big house and/or lots of money to hire lawyers and engineers to prove your claim up in court. Given all the misleading positive press from the Alberta government regarding the program, it is inevitable that other provinces will be following suit, so CBC would be doing every consumer in Canada a big favor by shining a light on this great example of government overreach and crony capitalism in Alberta. BTW, for full disclosure, I’m not a fan for the Alberta Government mandatory ANHW program :-). IMHO, it is poorly-conceived and poorly-executed crony-capitalism at it worst, and it does not solve the problems that it is intended and advertised to solve. Adam can you point me to the wording of that option? I’m looking at a National Bank commitment now and don’t see it. I like collateral charge for the day the stock market crashes, I can dump a lot of money in. Also I found when renewing, the posted special rates were not that bad with the current lender. I was able to renew 6 months early with no penalty and I chose their posted special rate. At the time or March 2011, it was 2.79 for 3 years. I could have got 15-20 basis points cheaper from NB or something, but since I was doing 6 months early renewal, I would had to pay penalty fees to break the mortgage. So I got 6 months of a cheaper rate with no penalty to break the mortgage by staying with the current lender. Next time could be different however, because now rates are so cheap, next time they could be higher and it might be better NOT to do 6 months early renewal to a higher rate. The disturbing part of that interview was not only do most bank employees not educate the client on what a collateral charge means, but when specifically asked, she completely avoided the opportunity to educate and disclose THREE times until she finally opened up on the 4th request. What about those poor clients who don’t know what to ask about? Didn’t the gov’t just pass a new law about making banks disclose mtg penalties and features? I guess we have to rely on CBC to police that and not the govt? The CBC report was a little superficial and clearly designed to ‘scare’ mortgage holders. My wife and I watched the program and despite the reporters constantly referring to ‘collateral mortgages’ and how they were essentially evil and TD bank was lying to customers, there was no information about what they really were, and what costs were associated. From this blog I already knew the goods, but just for fun, I didn’t tell my wife just to see if the report would detail the potential charges. In the end, the charges aren’t even that high but I’m sure TD lost business because of that report. I also don’t buy the argument raised that because the details were tucked away deep in the documentation that contract holders are not responsible for reader through every word. Interesting to see that Preet is starting to become the go to guy for CBC and personal finance issues. Good for him. The option on the NB commitments is only there for their AIO product. Their regular mortgages don’t have the option for the collateral registration. I don’t think that your collateral charge had anything to do with your lender being more competitive at renewal. Fyi…TD’s business continues to grow. I have a collateral mortgage line of credit (a product my broker could NOT provide me). The broker tried to push me into some equity loan. I told the broker numerous times I do not need the money right away…I want a line of credit and he flat out ignored my request. The TD bank however got me my line of credit and registered it for the value of my home. Next time I need more money (IF I do) It can be done without a lawyer. (no cost to me)!!!!! I love the TD bank! Here’s what we’ve been told by sources at National. I confirmed it again today because you made me doubt myself. LOL. National Bank mortgages are registered as collateral, All-in-One or not. That’s why you can get a regular 5-year fixed mortgage and then tack on an All-in-One after closing, without having to re-register the mortgage. The amount of registration (i.e., at the mortgage amount or at 100% of property value) is a separate issue. By default, National registers at 100% but the documents at the lawyer’s office allow the option of registering for the actual mortgage amount. Could it be that you were dealing with a mtg. agent that shouldn’t be out there servicing clients on their own, if they had too little knowledge of various product offerings? The reason I ask it that there are lenders that we have access to, including TD that would have been able to help? Or perhaps that mtg agent chose not take you seriously and simply did not get involved with doing your deal? Out of curiosity, what is the current interest rate on your TD HELOC(Home Equity Line of Credit), 3.5%? lol – pr team needs to learn not to try so hard. At the same time, Robert should be commended for being far more unbiased and informative in a blog post than the CBC was with 30 minutes of air-time. But I still made out better because of 6 months early renewal with current lender vs penalty fees to switch to cheaper lender. Lol at the above comment – brokers out there you’re still supporting TD when they’re offering your clients products that you can’t provide them? Great broker partner. Collateral mortgages are a waste if you have less than 20% equity. You’re better off keeping your switch options open. Very easy solution here…you show the client two options: Standard mortgage, and collateral mortgage. The collateral mortgage may very well be with TD…you give them scenarios on what costs would be involved “if….”. I bet CBC could go undercover to a large number of brokers who wouldn’t even disclose the existence of a collateral mortgage for fear of not being able to switch them out at 5 years. The presentation of options and power of choice you give clients will bring in far more business via referrals than that one mortgage switch in 5 years. Like Barb said, it’s the non-disclosure that should be a bother to brokers and consumers, not the collateral mortgage. People should be ‘scared’ about collateral charge mortgages, especially those registered for more than the mortgage amount. I realize there is a great deal of benefit with collateral charges for a small percentage of the customers – those who manage their credit and mortgage well, experience constant appreciation in their home value, with a minimum 25% equity in their home. My biggest concerns with collateral charge mortgages is the lack of flexibility to switch/engage another lender’s products and the difficulty the bank could leave its customers in if they needed to consolidate debt at some future date. 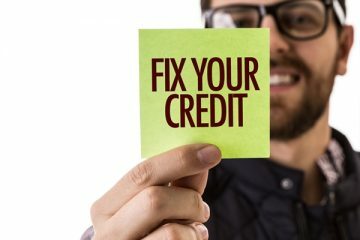 In my experience, people frequently need to assess the equity in their home to consolidate debt, usually after their inaction has caused their credit ratings to fall below levels the lender will offer further credit. Now they have no option; they can’t consolidate their debt because they can’t use another lender and their lender won’t help them. Not a good spot to put/leave someone. I’m not sure how the courts will treat collateral charge mortgages in a bankruptcy proceeding as they are registered differently. Maybe someone on this blog can advise? 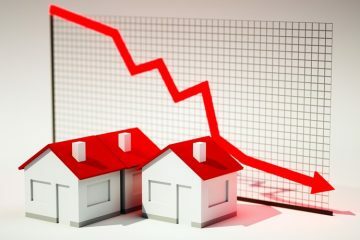 The charges for a collateral charge mortgage have to be either 1) more punitive when breaking and/or transferring to another lender than a conventional mortgage or 2) cheaper for the bank to implement or 3) give them more flexibility to collect on outstanding debt – or they wouldn’t use them. In any event, it will cost the consumer more to switch lenders – and that is what the bank wants! I’m not convinced collateral charge mortgages -for fixed amount mortgages – help anyone but the lender. A colleague of mine told me about a client who came to him with a TD mortgage registered as a collateral charge, 3.49% 5 yr fixed and a registered rate of 9.9%. Client missed a few payments and TD jacked his rate to 9.9% which led to a massive payment increase and all because he didn’t pay as agreed. Beware. Personally I haven’t used TD for over 2 years. Just switched a client who was selling to another lender and they where actually willing to pay the $11K on a $198K mortgage to get away from TDCT. If Flaherty really is serious about cleaning up the debt problem in canada he should start by looking at the big banks first. I think that it’s unfair to extend what this one employee did to include “most bankers”. You’ll see another example in this blog about a broker who didn’t measure up. In the end it is always about the quality of the person you’re dealing with. I’m sure some of the bankers in the CBC hidden camera segments are being ‘reprogrammed’ as we speak. I personally love my STEP (with Scotia) it’s helped me renovate, invest, save a little money. It was absolutely the right mortgage solution for me. My lender specifically said no when I asked if the Scotia Total Equity Plan was a collateral mortgage…so I didn’t ask three more times! Scotia allowed my client to register a second behind their first a few months after funding. Client had to change the mortgage type from Step product to a fixed mortgage. Changing the mortgage type was done at the branch level. Everything in this blog is fine and good about financial brokers but cant understand that why premiums can sometimes be higher for a collateral mortgage than for a regular mortgage. Lack of ability to switch? No more than any other mortgage. If you sign up for any closed-term mortgage you’re going to pay a penalty if you switch before the time is up, whether or not you’re using a collateral charge the costs will be the same. What the collateral charge does is impede people from getting a SECOND mortgage charge, since it eats up too much equity as security, but in no way does it prevent anyone from switching their mortgage any more than any conventional mortgage would. It just means at the end of your five year mortgage term, if you’re sticking with TD anyhow, that you don’t have to pay legal fees to clear out the old charge and put in the new one. Note that I’m basing this all on how documents and registration is handled in BC. Relative to my experience, this article is fairly misleading. Did you read the article and comments Eric? What if someone has a car loan and credit cards that TD put under the umbrella of a collateral charge? They can’t switch without paying everything off. Which gives TD the power to jack up the interest rate…and they do. There is no or very little cost to switch on renewal, with a collateral charge you must use a lawyer. Well then I say you need more experience son. Anyone can switch lenders, you see. It’s a matter of cost. Changing lenders with a collateral charge requires legal fees to reregister the mortgage. If you’re in the industry you should know that already! Scary I say. Scary. If you owe money on your car and credit card then when you switch you’d have to get a larger mortgage to clear those balances off. Although usually when I see that as a mortgage payout condition it’s generally coming from the new Lender wanting to clear out the customer’s financial liabilities. From what I’ve seen of TD mortgages when dealing with people’s sale file documents or refinance documents and having to pay out these collateral charges is that the charge on title specifically secures a Home Equity Line of Credit. I’ve never seen on with a credit card or car loan tied to it. It also makes more sense to carry $10k more on a mortgage at 3.5% per annum interest than to pay credit card interest rates on a $10k balance, and although I’m less familiar with auto financing rates, I imagine they’re also higher than a mortgage’s interest rate. Changing Lenders with a collateral charge or a conventional charge costs legal fees for registering the new mortgage and removing the old one. And staying with the same Lender and getting a new Conventional mortgage once your old terms have run out will also cost you legal fees, whereas staying with the same Lender under a collateral charge will not (unless they’ve made major changes to the product in the interim). Whether or not a new lender will comp your legal costs is not within the scope of if your mortgage is collateral or not. I have an adequate amount of experience in this field to actually understand the product and what it entails. The only thing that is scary is the poorly based fear mongering. Now, if you want something to actually be ticked about in terms of collateral mortgages is their “On Demand” status of payment. TD, and any other bank who uses an “On Demand” condition for repayment on a mortgage, can technically end their agreement with you at any time and demand payment in full, leaving you scrambling for financing to cover the debt and technically in a position where you’d be stuck with a bad rate. And they have done this to many middle eastern people when tensions increased with Iran. You should really take some time me to verify the information you post. There are no re registration fees on conventional mortgage transfers or renewals… at all! unless a borrow wants to refinance his or her mortgage. If a client has a mortgage at BMO in a conventional charge and wants to switch lenders at maturity the old lender may charge a transfer fee to the borrower (often $200-$300) and the new lender normally covers this cost… no lawyer required as the transfer is handled internally by the new lender. Same at renewal staying with the same lender… sign a new term commitment letter and no fees or charges of any kind. Fees only apply when switching collateral mortgages from one lender to another. As these do require lawyers to re register a new charge on title and discharge the old lender. Eric if you are advising people about mortgages for a living, you are doing them a disservice. Switching lenders with a standard charge usually costs nothing other than the old lender’s assignment fee. Switching lenders with a collateral charge requires a refinance with legal fees on top of the old lender’s discharge fee. Sometimes you can find another lender to pay the refinance cost but they almost never have the best rates. That’s the key point, I was quite specific about what the costs are. If the bank pays First Canadian Title to do the paperwork, comp the cost of title insurance, and have a mobile lawyer go to witness the clients’ signatures at the bank, then that’s all the legal costs that are involved in a generic mortgage and the client is being compensated by the bank. Your entire paragraph I’ve quoted is exactly what I was referring to when I wrote about the lender comping the legal costs. I don’t sell mortgages. I do the paperwork necessary for registering a newly acquired mortgage, and the corresponding paperwork needed to fulfill the bank’s conditions. And, with respects to BC, I actually see what is needed to get rid of an old mortgage, including registrations of discharges with the land title office, and I actually see what is needed to secure the new mortgage. The problem with a lot of “Mortgage Specialists” is that they only see one part of the picture. They get the clients to agree to terms, they get approval for the client based on their credit history. So, once they have the clients signature and underwriting’s okay, they generally back off unless they have a brokerage fee to collect from the proceeds. I know this all from personal experience assisting clients with the registration of their mortgages and discharge of their current ones in BC. As I said before, I don’t know how it works in other Provinces, but I know how it works here, and nothing anyone here has been trying to “teach me” is less than accurate for this Province. I don’t sell mortgages, I register them and complete bank conditions after people have already committed. The extent of my concern is how thick the list of conditions, the requirements the Lender sends along with its mortgage instructions, and advising our clients exactly how much their new mortgage will cost them, what their responsibilities are under the new mortgage, and what they are giving up in exchange for the funds. So what I see is people come in getting a new mortgage, either Collateral or Conventional, and discharging their old one, Collateral or Conventional, and whatever the combination they’re still paying my office for the legal services provided in meeting the Lender’s requirements. And once again, my caveat is that my experience is relative to BC. Lenders comp switch costs on straight assignments only. You can’t assign a collateral charge. You have to refinance it. Therefore collateral charges entail switch costs, whether you are in BC or not. A. Removes secondary financing ability if the charge % is too high. B. Gives bank too much power by allowing them to secure all other current and future credit products the customer has with them under the one collateral charge. So customer has to pay out all the products (credit card, auto loan, LOC, mortgage) in order to switch lenders. Also if they miss a payment on a credit product the bank can foreclose on house or apply your mortgage payment to cover it. C. More costly to switch lenders – approx $1000 in fees as you stated. 1. Are my understanding of the downsides correct? Did I miss any? 2. What % of collateral charge is ok to still keep the door open for secondary financing? 80% LTV? 3. About problem “B”, BC lawyer Kenneth Pazder wrote on another blog that he instructs his clients to get a letter from the bank saying “notwithstanding the terms of the mortgage, unless otherwise agreed by the borrower and the bank, no other indebtedness (save the mortgage loan and/or line of credit component as the case may be) shall be secured by the mortgage charge.” Will banks agree to sign this and would this solve problem B? 4. Another option to solve problem B is to not have any other credit products with the bank holding the collateral charge mortgage. Do you agree? 5. Which of the banks/lenders out there are the better option for reducing the downsides of a collateral charge? TD is now saying that the $1M collateral charge they applied against our home (to secure a $500k mortgage) CANNOT be used for a HELOC !?!?! What the heck? I permitted the collateral charge for EXACTLY THAT REASON! Now the FSR at TD bank is telling me they cannot setup a HELOC to share the same collateral charge as the mortgage. (We need to pay more legal costs). WHAT THE FRICKING HELL TD – WHY DO YOU THINK I PERMITTED THIS COLLATERAL CHARGE IN THE FIRST PLACE!!!!??? BUYER BEWARE – the banks are all the bloody same – damn liars. If you qualify for the $ 1 million dollar amount, you can get a loc @ TD for the difference.